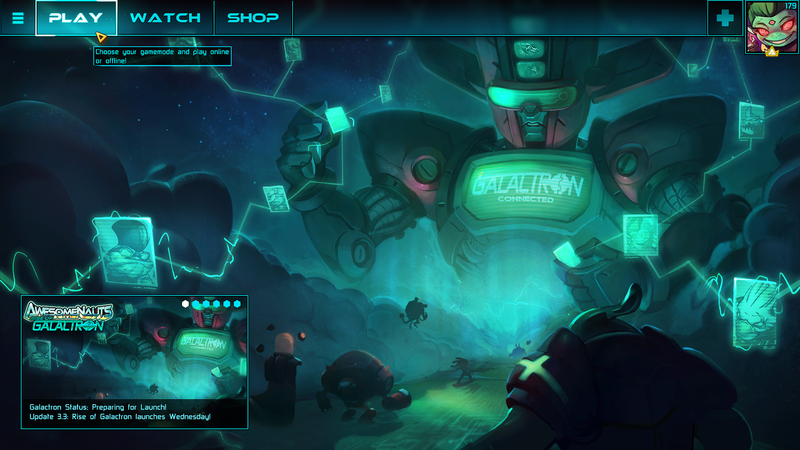 We just released Awesomenauts Update 3.3: Rise of Galactron on Steam! 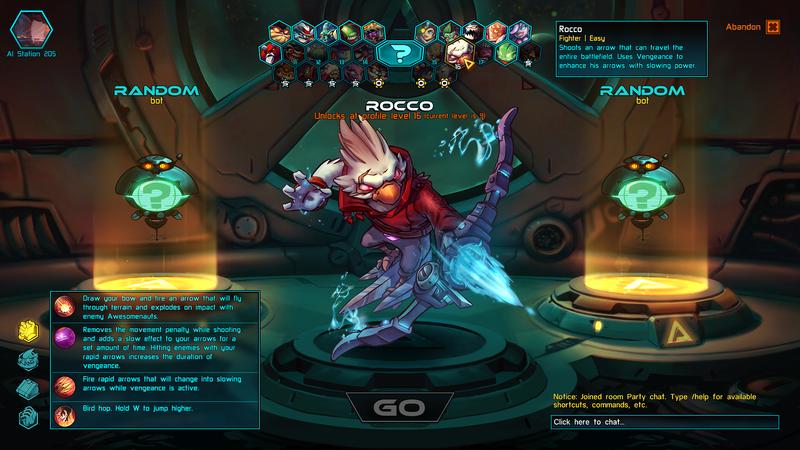 This update brings a whole new matchmaking system to Awesomenauts, a complete overhaul of the game’s menus, a fully-featured party system, and loads of additional tweaks. On top of that, a rejoin-feature to allow players to reconnect to games they accidentally disconnected from, and harsher leaver penalties for players who abandon their teammates. And of course: Galactron himself, who is a giant robot, in space. 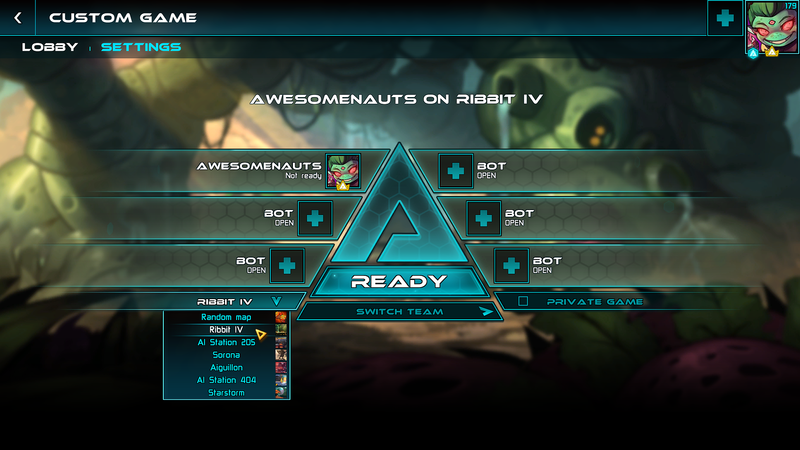 This update brings a AAA style matchmaking to Awesomenauts, lowering both pings and skill differences in matches across the board. Galactron does this by gathering up players in rounds of about five minutes, and then figuring out how to best group those players across matches. An additional feature is the addition of Simplified Chinese localization. We’ve been bringing Awesomenauts to more languages over the last couple of years, and we’re excited to welcome more Chinese players to our community. For the full patch notes, head over here. We’ve tested the system extensively in multiple Betas over the last few months, and would like to thank all players who’ve helped us test the system. Galactron has become a lot more awesome than we ever anticipated, and a lot of that is thanks to the feedback you’ve given us. 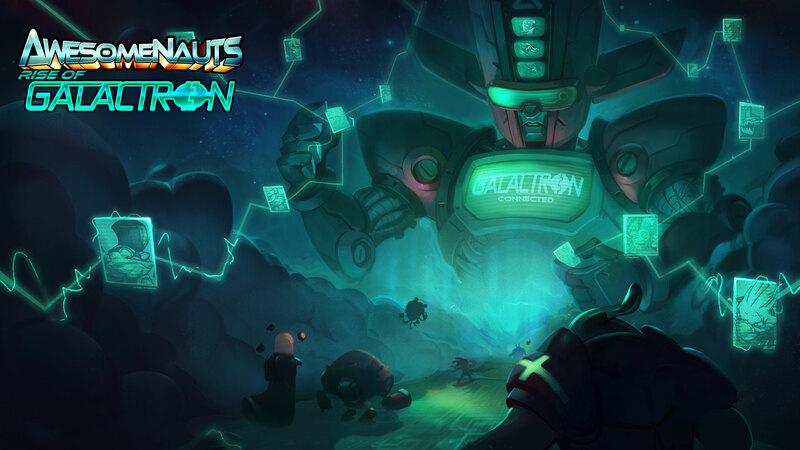 The development on Galactron lays the groundwork for many awesome features that will be coming to Awesomenauts over the next year. Including a live spectator mode coming next month, and a level editor with full Steam Workshop integration coming next year! Today is all in honor of our giant robot: Galactron. And I, for one, welcome our new robotic overlord. All hail Galactron!